Boot Height: Approx. 8'' Tall. 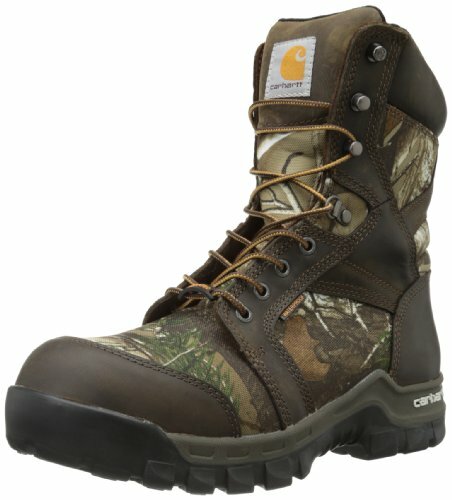 Durable, waterproof full-grain CamoHide leather upper with rugged and lightweight 1000 Denier nylon. Mossy Oak Break-Up Infinity camo features unprecedented depth and detail with leaves, limbs, acorns, and branches layered over actual images of the woods to break up a hunter's silhouette. Full-grain leather toe and heel cap. Rugged hardware for secure fit and long lasting performance. 100% waterproof and breathable GORE-TEX lining. 800 gram Thinsulate Ultra Insulation offers lightweight warmth for those needing protection in cold climates. Cushioning three density open cell polyurethane Ortholite footbed. 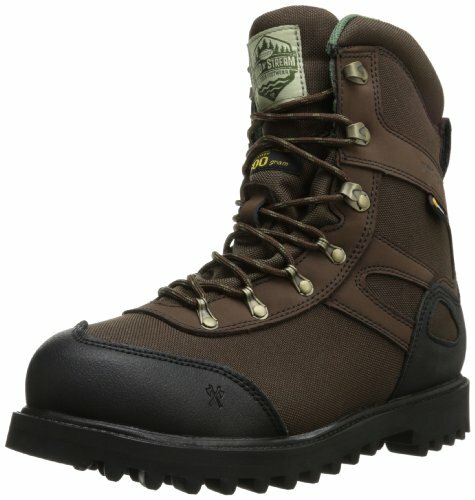 Lightweight and stable performance of Danner's TERRA FORCE platform. 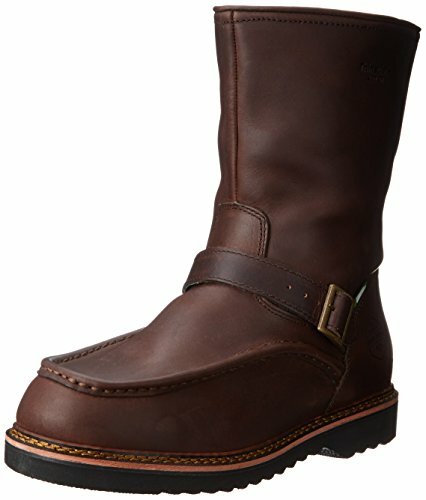 Danner Pronghorn outsole for solid traction over rugged terrain. Nylon shank. Boot Height: Approx. 8'' Tall. Construction: Cement. Insulation: Non-Insulated. Insole: Contoured EVA, Removable. Midsole: Polyurethane. Outsole: Ultra Flexible Rubber Bob Sole. Special Features: Waterproof, Breathable Construction. Reinforced Toe and Heel Guard. Boot Height: Approx. 8'' Tall. 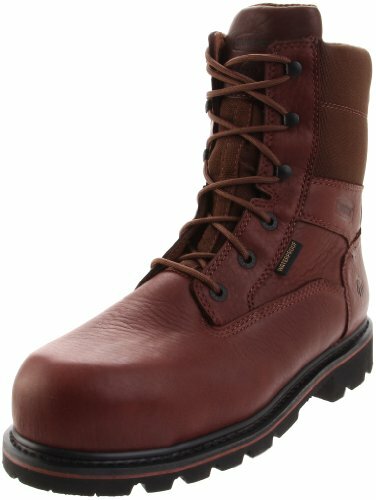 Waterproof full-grain leather 1000 denier nylon upper. Wave mesh lining. 1000 grams of Thinsulate Ultra insulation. Compression moled EVA footbed. Vibram - Montana rubber lug outsole. Goodyear Welt construction. Composite-Toe rated ASTM F2413-05 M I/75 C/75 EH. Boot Height: Approx. 8'' Tall. Construction: Cement. Insulation: 600 Grams of Thinsulate Ultra Insulation. Insole: Contoured EVA, Removable. Midsole: Polyurethane Rubber. Outsole: Ultra Flexible Rubber Bob Sole. Special Features: Waterproof, Breathable Construction. Reinforced Toe and Heel Guard. Boot Height: Approx. 8'' Tall. Construction: Goodyear Welt. Insulation: Non-Insulated. Insole: Removable Single-Density Polyurethane. Midsole: Rubber. Outsole: Cellular Wedge. Special Features: Waterproof, Breathable Construction. 3M Scotchgard Protector. Boot Height: Approx. 8'' Tall. The Flyaway features a sturdy wedge-sole with Goodyear welt construction and a vintage English moc toe. These side-zip boots are waterproof, breathable, and carry on the hunting heritage pioneered by its predecessors. Cowhide leather. Boot Height: Approx. 8'' Tall. Waterpoof full-grain leather and 1000 denier nylon upper. Wave mesh lining. 600 grams of Thinsulate Ultra Insulation. Removable full-cushion footbed. Camo wrapped compression molded EVA midsole. Cement construciton. Rubber lug outsole. 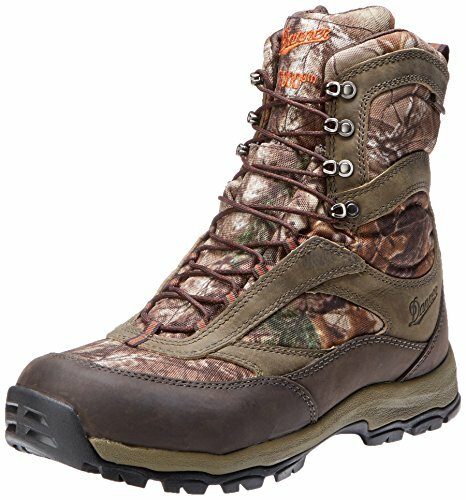 Built for performance and agility when you're on the hunting or hiking trails, the Danner High Ground 8-Inch GORE-TEX� 1000g Insulated boot has got your back. 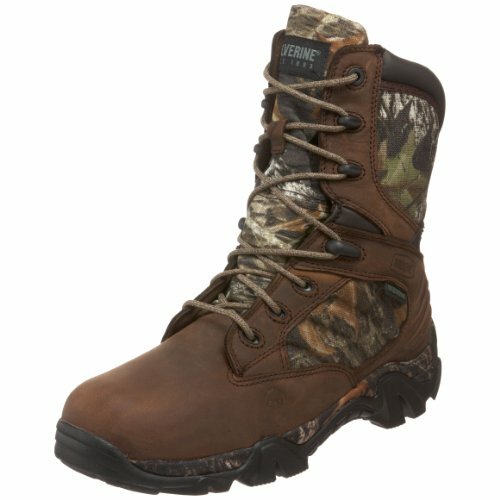 Made from a combination of oiled nubuck and durable, foam-backed 900-Denier nylon, this men's hunting boot is not only protected by a GORE-TEX� waterproof, breathable membrane, but comes equipped with 1000 grams of Thinsulate� Ultra insulation to keep you as warm as you are dry. The open-cell polyurethane footbed includes antimicrobial treatment to discourage odor�handy when you're out hunting. Realtree� Xtra� camo panels help you stay hidden when you're on the hunt. A nylon shank and protection plate offer support, stability and security over treacherous, unpredictable terrain. 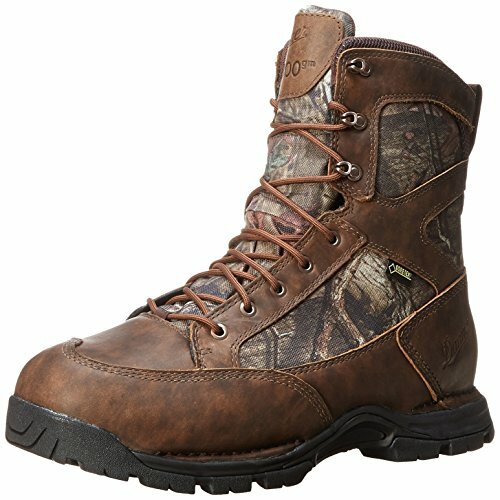 The Danner High Ground 8-Inch GORE-TEX� 1000g Insulated hunting boot is finished with a lightweight Talon rubber outsole to deliver nimble, athletic performance in rugged conditions. Boot Height: Approx. 8'' Tall. Construction: Cement. Insulation: 600 Grams of Thinsulate Ultra Insulation. Insole: Contoured EVA, Removable. Midsole: Polyurethane. Outsole: Ultra Flexible Rubber Bob Sole. Special Features: Waterproof, Breathable Construction. Reinforced Toe and Heel Guard. 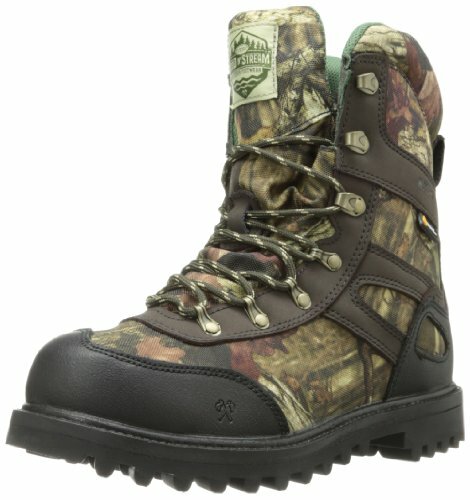 Looking for more 8' Insulated Hunting Boots similar ideas? Try to explore these searches: Snap N Seal rg6, Harry Potter Pc Games, and Distance Spike. 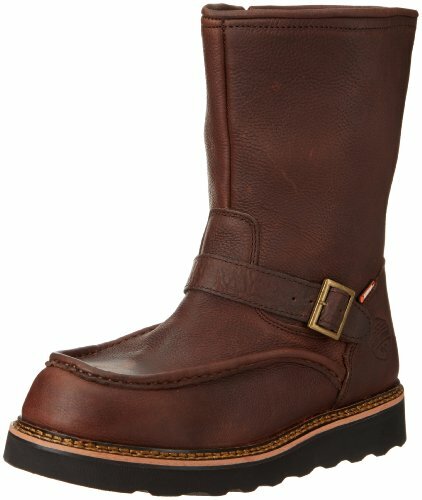 Shopwion.com is the smartest way for comparison shopping: compare prices from most trusted leading online stores for best 8' Insulated Hunting Boots, Antique Style Heart Locket, Quick Hook, Insulated Hunting Boots 8' . 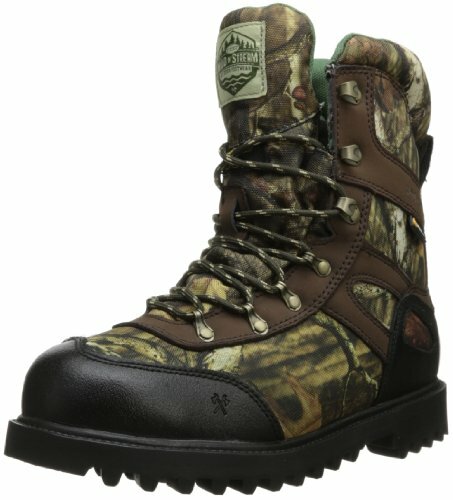 Don't miss this 8' Insulated Hunting Boots today, April 23, 2019 deals, updated daily.